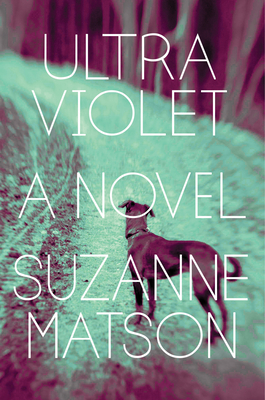 Suzanne Matson's engrossing and intimate new novel, Ultraviolet, centers on Kathryn--the daughter of Elsie and mother of Samantha--while illuminating the lives of three generations of women, each more independent than the last. Their stories open in 1930s India, where Elsie lives with her authoritarian missionary husband and their children. Returning to the American Midwest as a teenager, Kathryn feels alienated and restless. When she loses her mother prematurely to a stroke, she escapes to Oregon for a fresh start. Disappointed that her education was cut short by her father, and dreaming of becoming a writer, she supports herself as a waitress in wartime America, dating soldiers, then meeting and marrying Finnish-American Carl. A construction worker sixteen years her senior, he is an unlikely match, though appealing in his care-free ways and stark difference from her Mennonite past. But Kathryn ends up feeling trapped in the marriage, her ambitions thwarted. Samantha, who's grown up in the atmosphere of her mother's discontent, follows her own career to teach at a university in faraway Boston, where she maintains a happy family of her own. When Kathryn starts to fail, Samantha moves her mother near her to care for, and then to watch over her deathbed, where "something in the room--the spell, the cord knitting them together--is cut. Or no, that can't be right, either." Ultraviolet is a lyrical novel of great emotional depth. Suzanne Matson recognizes both the drama that is within every existence and the strengths and fragilities of our relationships with others. She shines a brilliant light on the complexities of marriage, motherhood, aging, and the end of life. Suzanne Matson was born in Portland, Oregon, and studied at Portland State University and the University of Washington. Her first novel, The Hunger Moon, was a Barnes & Noble Discover Great New Writers pick. Her third, The Tree-Sitter, was short-listed for the PEN New England/L. L. Winship Award. She has published two poetry collections with Alice James Books, teaches at Boston College, and lives in Newton, Massachusetts.